Description: Following the Battle of Peachtree Creek, Hood determined to attack Maj.
Gen. James B. McPherson’s Army of the Tennessee. He withdrew his main army at night from Atlanta’ s outer line to the inner line, enticing Sherman to follow. In the meantime, he sent William J. Hardee with his corps on a fifteen-mile march to hit the unprotected Union left and rear, east of the city. Wheeler’s cavalry was to operate farther out on Sherman’s supply line, and Gen. Frank Cheatham’s corps were to attack the Union front. Hood, however, miscalculated the time necessary to make the march, and Hardee was unable to attack until afternoon. Although Hood had outmaneuvered Sherman for the time being, McPherson was concerned about his left flank and sent his reserves—Grenville Dodge’s XVI Army Corps—to that location. Two of Hood’s divisions ran into this reserve force and were repulsed. The Rebel attack stalled on the Union rear but began to roll up the left flank. Around the same time, a Confederate soldier shot and killed McPherson when he rode out to observe the fighting. 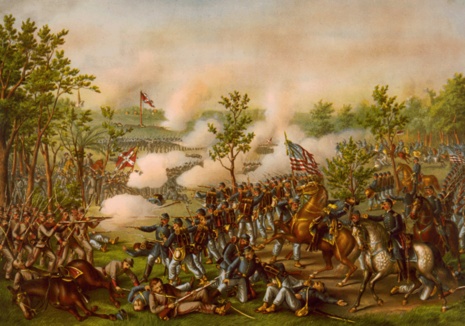 Determined attacks continued, but the Union forces held. 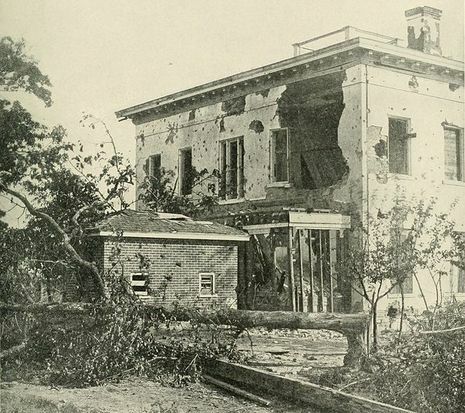 About 4:00 pm, Cheatham’s corps broke through the Union front at the Hurt House, but Sherman massed twenty artillery pieces on a knoll near his headquarters to shell these Confederates and halt their drive. Maj. Gen. John A. Logan’ s XV Army Corps then led a counterattack that restored the Union line. The Union troops held, and Hood suffered high casualties. The Battle of Atlanta (also known as the Battle of Decatur) was a battle of the Atlanta Campaign fought during the American Civil War on July 22, 1864, just southeast of Atlanta, Georgia. 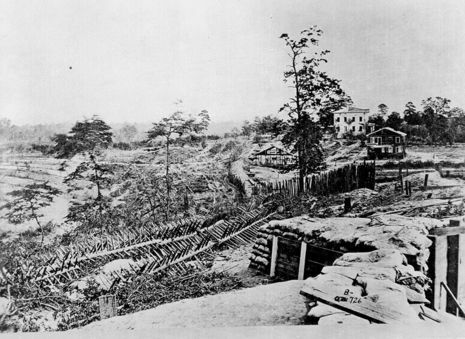 Continuing their summer campaign to seize the important rail and supply center of Atlanta, Union forces overwhelmed and defeated Confederate forces defending the city. Despite the implication of finality in its name, the battle occurred mid-way through the campaign and the city would not fall for another six weeks.